The stylish small car Hyundai Eon, which was launched in the Indian market in October 2011, has now marked its debut in the Ghanaian market. The car was officially launched in the country recently by joint venture of South Korean car maker Hyundai and Investments Ghana Limited. The Hyundai EON is a new generation small car from Hyundai camp which is blessed with company’s next generation Fluidic design language. Powered by an 814 CC petrol engine, the car is capable of delivering a peak power of 55 bhp along with a peak torque of 76.5 Nm. Speaking to the reporters, Director of (Sales & Marketing) at Hyundai Motors, Mr. Rockson Johnson, said, that the EON models engine is highly fuel efficient that delivers a fuel economy of 21.1 km per liter, as the car has been designed to be smart, eco-friendly and fuel efficient. 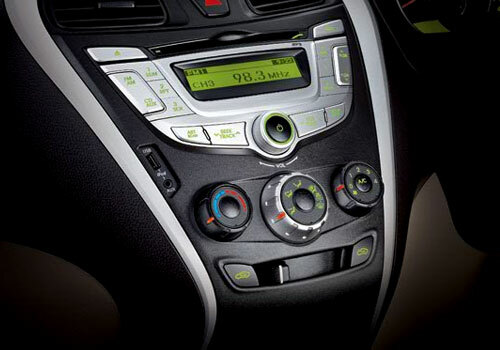 The high economy of the car makes it pocket friendly by reducing the driving expenses. While further speaking on the car’s superior quality and features, he added that EON small car carries front bucket seats, a futuristic three-barrel design gauge cluster and an optional three-spoke steering wheel. He added that the advanced engine of the car delivers outstanding power to weight ratio and is highly durable as compared to the other cars of its segment. 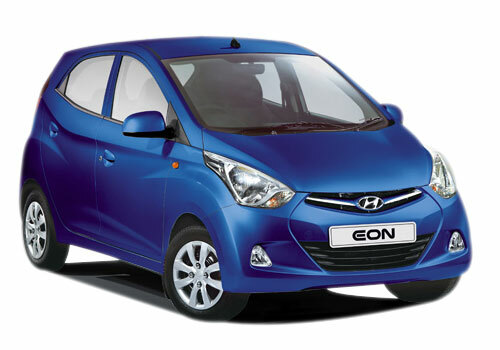 In India, the Eon model is available in the price segment of Rs 3.17 to Rs 4.53 lakh, where it is competing with the likes of Maruti Alto and Chevrolet Spark.